Our minor league ballpark has major league light poles. 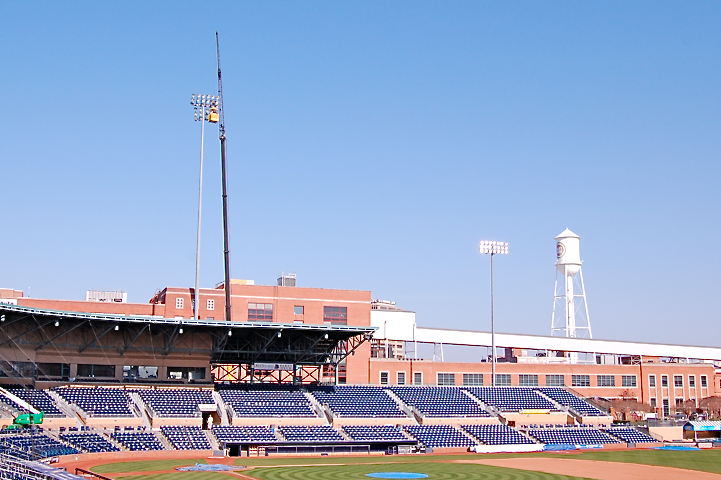 The DBAP's substantial roof was a challenge for the lighting engineers. 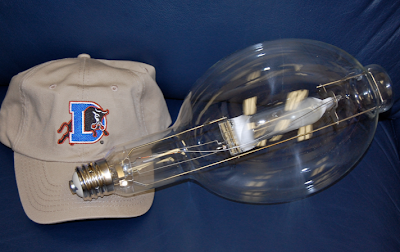 The solution was to go up, up, up...well above the roof to illuminate the field with no shadows. 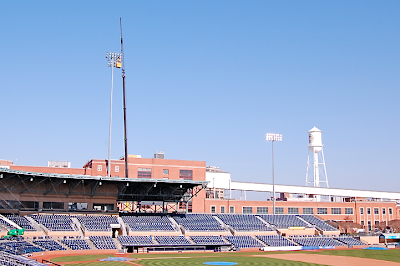 At a couple hundred feet, those light poles sway gently in the Bull City breeze - whole lotta shakin' goin' on - and each year the lighting fixtures have to be re-aimed and bulbs replaced. 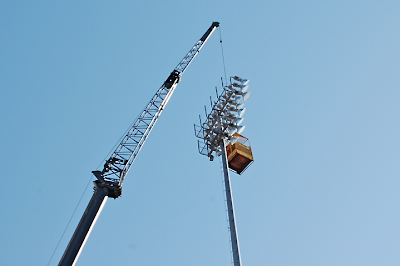 That takes a crane and a very brave maintenance guy! A light bulb as big as your head! Thanks to Greg Dumais for the photos.